MASON, Ohio -- It has been half a lifetime since the unthinkable happened to Elena Nikitina. But even after all these years, the brutal memories still bring tears to her eyes. Nikitina was only 21 when a Chechen gang snatched her from the streets of her hometown in Russia, drove her through the night to Chechnya and held her captive for eight long months. Nobody paid ransom. But, after eight months in captivity, Nikitina escaped after waking up early one morning and realizing she was alone. It was 1995, and the First Chechen War was raging. She ran outside, walked to the mountains in search of Russian soldiers and waved a white cloth in surrender. Elena Nikitina before her abduction, left, and after her escape. After determining that she wasn’t a suicide bomber, the Russian soldiers helped Nikitina reunite with her mother, a memory so sweet that it still makes her weep. The two never spoke of those eight months apart, though, or what Nikitina’s captors had done to her or the wartime atrocities she witnessed. It was too painful, she said. But years after receiving asylum in the United States and building a quiet life in Mason, Ohio, of all places, Nikitina decided her mother needed to know the story of her captivity. She sat and wrote all she could remember, and it was as if her memories poured out onto the pages. “I locked myself in a room and in three months I was done with everything,” she said. Nikitina showed the pages to her mom, who took three days to read and absorb the words. And after the therapeutic effect the writing had on her and her mother, Nikitina decided to turn those pages into a self-published book called “Girl, Taken” in hopes that her story could help others. Those who had known Nikitina as a smiling, supportive, suburban mom were shocked by her story. O’Neal isn’t the only one. Nikitina was worried about sharing her story because she didn’t know what people would think of it, but she said she has been stunned by the warm reactions she has received from people who have read her book. Paul Miller convinced her to speak publicly about her ordeal for the first time earlier this year. Miller is a member of Tawasi Club, a men’s group in Dayton named after a Native American word that means friend and helper. The club counts well-known political and business leaders among its members. Miller heard about Nikitina’s story and connected with her on Facebook. She told him about he book, and he read it. Elena Nikitina after she moved to Greater Cincinnati. Nikitina went to Dayton with her mother, who also lives in Mason, and spoke to more than 40 members of the club. Of all the high-profile speakers the Tawasi Club has hosted, including top executives and university presidents, nobody has given a more powerful speech than Nikitina, Miller said. Cheryl Tucker-Mosby, the founder of a Texas-based nonprofit called With You In Mind , organized an event in Detroit in April to raise awareness about human trafficking where Nikitina was one of the speakers. 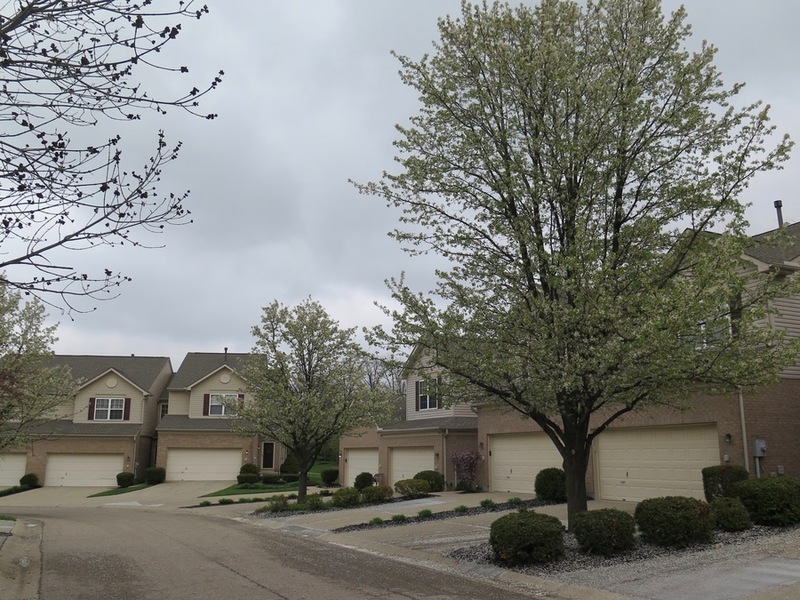 Elena Nikitina's quiet Mason neighborhood. Those stories have power, though, Tucker-Mosby said, because they help other survivors feel less lonely and help everyone else understand the perspective of people who are victims of such terrible crimes. Nikitina does not consider herself a victim of human trafficking. But she feels a certain kinship to those who have been. Her entire time in captivity, Nikitina said, she didn’t have a toothbrush or comb or even a spare pair of underwear. For eight months she wore the same little black dress she had been wearing the night she was taken, along with a worn, pink robe that she said one of her captors must have draped across her at some point. She had to ask each time she needed to use the bathroom and stayed mostly in small, dark rooms with blacked-out windows. In her book, she recounts a cold, winter day when her captors took her into the bright sunlight and shoved her into a military jeep. They drove until they got to a plaza in the center of Grozny and parked near a large tree. She looked up and saw bloodied human heads stuck in the tree “like Christmas bulbs,” she wrote. It’s the kind of image that haunts a person for a lifetime. 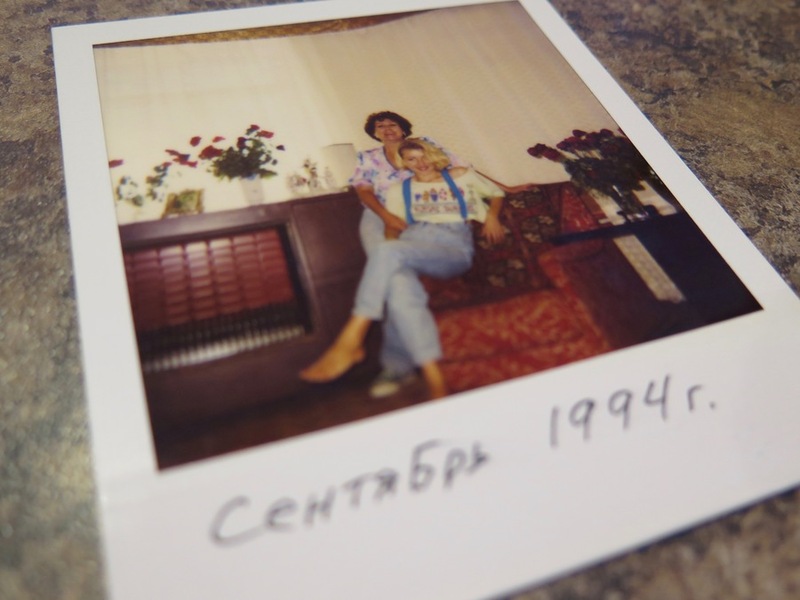 Elena Nikitina, seated, with her mom before she was abducted. The eight months that Nikitina spent in captivity changed everything for her, she said. She couldn’t finish college or relate to her friends. She and her mother filed a police report, but her captors were never caught. She no longer felt safe in the place she had called home. She and the man who would become her husband moved to Greater Cincinnati in 2000. She received political asylum in 2001, got married and had her daughter soon after. She and her husband have since divorced, but her mother moved to the U.S. in 2006 and went through the same immigration process. Now Nikitina works as a real estate agent, takes her daughter to dance competitions and talks about her book even as she continues to heal from her ordeal. Her friend Meldin Merrill, a writer who lives in California, said he thinks the book’s powerful lesson is that good can overcome evil, even in the most desperate circumstances. But there’s more to the message, too. Everyone has hardships, Nikitina said, and some are more horrific than others. But she believes that every person has the kind of strength she found inside herself all those years ago in those tiny, dark rooms. 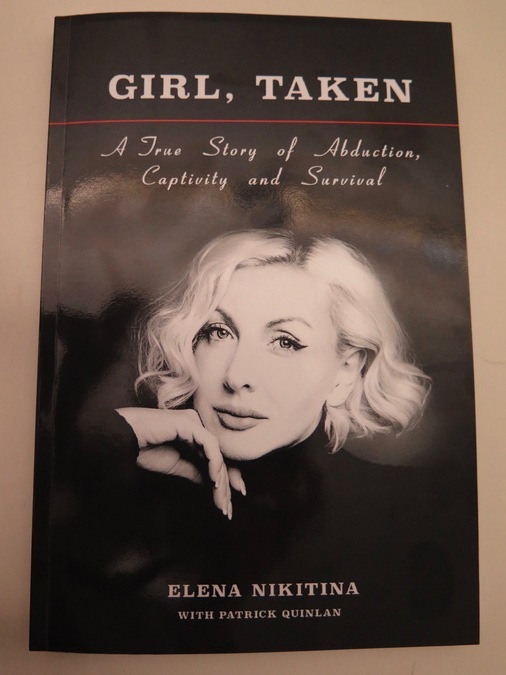 Elena Nikitina’s book, “Girl, Taken,” is available in paperback or electronically. Information on how to buy the book is available online . Lucy May writes about the people, places and issues that define our region – to celebrate what makes the Tri-State great and shine a spotlight on issues we need to address. To read more stories by Lucy, go to www.wcpo.com/may. To reach her, email lucy.may@wcpo.com. Follow her on Twitter @LucyMayCincy.